As much as we love flashlights, we can be honest that it’s not always the best lighting choice. 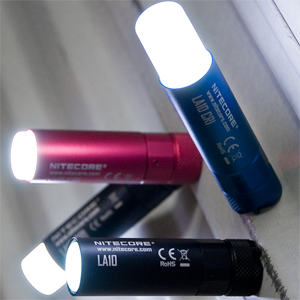 Many of our flashlights are designed with a bright, focused center which can be great for illuminating objects in the distance but not so much when you get up close. Headlamps can be a good alternative with wider angle and floodier beams, but they’re not the best for sharing your light with others. Lanterns are the perfect compromise for portable, hands-free lighting that illuminates a space evenly for an unlimited number of users. No wonder it’s a technology that goes back to man’s very roots! Lanterns may be an ancient concept, but today’s lanterns are definitely not! If you’re familiar with traditional fuel burning lanterns, you’ll be pleasantly surprised to learn that LED lanterns offer the same space-illuminating power with some serious benefits you won’t find anywhere else. Need some more convincing? We put together our top 3 reasons an LED lantern is a must-buy for campers, explorers, preppers and travelers alike. 1. 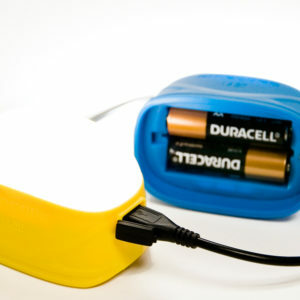 Size: Backup li-ion batteries take up considerably less room in your gear than a fuel canister. 2. Replenishable: If you run out of gas while deep in the back country, you’re out of luck. With a rechargeable battery, you can always add more power via a solar panel or power bank so you’ll never worry about running out. Top Pick: Many of our lanterns include a USB charging port, but the LA30 bi-fuel lantern is our absolute favorite thanks a built-in rechargeable battery AND support for 2x AAs. If you’re going on a longer trek or want to keep your gear weight down, LED lanterns are the way to go. With some lanterns as small as the size of a tube of lipstick, LED lanterns bring the convenience of bright, 360° lighting without taking up valuable space in your backpack. 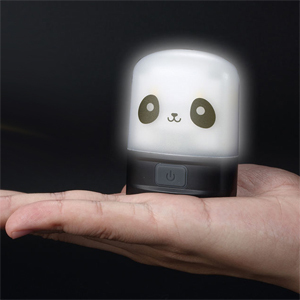 All of our lanterns can fit in the palm of you hand and weigh under 5 ounces — most weigh under 2 oz! Top Pick: A lantern the size of a tube of lipstick? That’s right! The NITECORE LA10 mini lantern is so, so compact and lightweight you’ll never look at lanterns the same way again. Unlike fuel lanterns which rely on an actual flame to produce light, LED lanterns are a safer and flame-free light source. LED lights produce minimal heat so you won’t have to worry about using these lanterns in your tent or keep an eye on curious little fingers. For families who camp together, this added peace of mind is huge. Top Pick: What could possibly be more kid-friendly than the NITECORE LR10 Panda Edition? If you’re camping with little ones, consider adding this cute and easy to operate lantern to your gear. This chart breaks down the highlights of all our lanterns so you can quickly compare models.